The Minister also wrote a similar Facebook post on Monday using the #AbhinandanDiwas. However, the minister did not mention which standards would have Wing Commander Abhinandan’s story as part of their curriculum. Abhinandan Varthaman Remains in High Spirit Despite Mental Harassment in Pakistan. After spending two days in Pakistan's captitvity, the IAF pilot returned India from the Attari-Wagah border on Friday. His Mig-21 Bison fighter jet was shot down by the Pakistan Army after an aerial attack between the countries' air forces at the Line of Control in Jammu and Kashmir. Wing Commander Abhinandan Varthaman Returns Home With a Rib Fracture, Back Contusion and Bruises: Reports. The IAF pilot was fighting off Pakistani F-16 jets when the Pakistani military shot down his MiG 21. Though Abhinandan managed to eject from the jet, he crossed over to Pakistani territory. 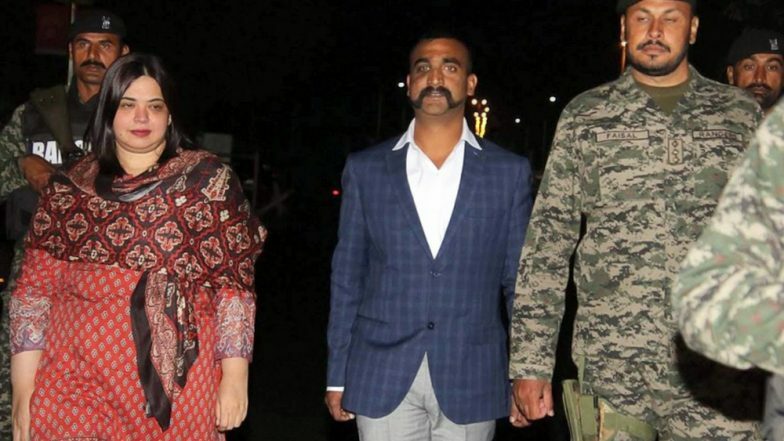 Abhinandan Varthaman Returns India After 58 Hours From Pakistan Via Attari Wagah Border. The IAF pilot received a hero’s welcome back home on Friday night. Soon after his return, he was taken to the Air Force Central Medical Establishment for medical check ups before being shifted to the Research and Referral Hospital. Pakistan had changed the timing of handover of the pilot twice and later it was fixed to 9 pm on Friday. On Saturday, Defence Minister Nirmala Sitharaman and Air Chief Marshal BS Dhanoa met Varthaman during which the IAF pilot apprised them about the mental trauma he was subjected in Pakistan.